Stem cell research is one of the fastest growing areas of biology today. Uses of stem cells are likely to change the world we live during the next fifty years and a discussion of the ethical issues of therapeutic uses of stem cells is important. Some examples of treatments using stem cells are for Parkinson,s disease, Alzheimer's disease, type 1 diabetes, Stargardt's disease and spinal cord damage. Where do stem cells come from? Why are stem cells so useful in these treatments? What are stem cells and how can they help patients? What are the issues around the production and use of stem cells for therapeutic cloning? Where do I stand in the decision about the ethical issues of using stem cells for therapeutic treatments? Activity 1 - What are stem cells? The Nobel prize in Medicine for 2012 was shared by two scientists whose work has led to our understanding of stem cells. In 1962, John Gurdon transfered the nucleus from an adult somatic cell into the enucleated egg cell that then develops into a full organism. In 2006, Shinya Yamanaka demonstrated that adult specialised cells can be induced into becoming pluripotent stem cells with the addition of a few genes. Read more in the Nobel prize in Medicine press release. If students have not already been introduced to the idea of stem cells first consult a text book or click the eye icon to display an image and a 2 minute video clip..
For even more information visit the Science Museum - What are stem cells. Activity 2 - Taking a stance on stem cells. "Does the use of stem cells pose more danger to society than it has potential benefits?" Reflect on the question for a minute, no discussions, form your ideas in silence. Move to the left if you agree that there are more dangers than potential benefits. Move to the right if you disagree and thing the benefits are greater. "You now have 5 minutes to plan an argument to try to persuade the students on the opposite side of the room to change their ideas to join your group. Consider the arguments they might propose and how you can make the counter argument." Flip a coin to decide which team begins their persuasive arguments. Both groups present their arguments and respond to each other - follow the rules below. The first group presents all of their arguments in one presentation without interruption. The opposing group may make notes. The responding group will make their response by focusing on the arguments and facts presented and not on the personalities or opinions of those presenting. The responding group can present new arguments without interruption. The first group can then respond to the new arguments. Make notes using the Ethical discussion worksheet. Summarise the major scientific points of the arguments, including the examples of the therapeutic use of stem cells. Reflect on the ethical arguments to evaluate you personal view on the issues after the discussions. The point is to determine our own stance in these matters. 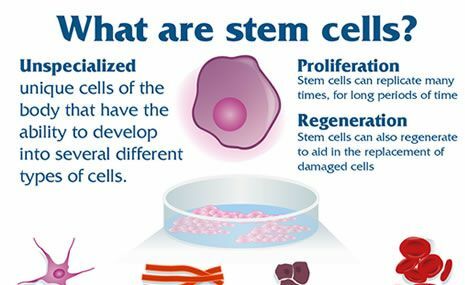 Complete the worksheet on the implications of using stem cells. to record notes about some of the issues. Here are 4 ways to chose from to approach the ethical issues dilemma. The Ethical discussion worksheet is a worksheet which can be used to assist students to record their ideas before or during the discussions. Prior to introducing the students to the topic, have the students make an initial stance. This deliberate aksing the question "cold" will force them to think about what they have heard or read already. See the In Class activity below for more details. Then allow the students to research more details and positions on the topic to establish their ideas by confirming or becoming educated if they were not sure. After having introduced the topic and have had students do some research about the issues. This will allow students to prepare their arguments for the In Class activity below for more details. The 3rd way to approach the ethical issues is to set up a debate between shareholders in the issue. How do I know the issues around the production and use of stem cells for therapeutic cloning? How do students know where they stand on an issue? Setting up the debate between the interested parties involved in ethical discussions will allow students to discover what they feel is right for themselves in the context of the other arguments. For the ethical issues of therapeutic stem cell use, there are a number of different perspectives. Student can be allowed to select for themselves or be assigned by the teacher. Depending on the number of students, groups of various constituents can be created. Students in a group should research the perspective of that group on the issue to present the arguments and counter arguments. This way the students will have to look at the whole issue not just a biased viewpoint. Scientific / research community - why the research is important, benefits and potential risks. Religious community or communities - why the moral perspective is important. Legal community - what constitutes the legal rights in the local community. Medical community - how could the development help reduce or prevent suffering. Patient community - why is this research important to the individual who needs the treatment. Business community - what potential of employment and financial gain is involved. Other perspectives could be presented too. The debate should follow strict rules so that shouting matches and disorder are avoided. Each group presents their perspective in short presentations, which could include prepared texts to be distributed. In a random or predetermined order, responses are given by each group to specific arguments from the first round of presentations. This is why prepared texts would be advantageous. Closure - students should write their reflections on the ideas presented to formulate their own positions. One other way to present students to the issues in this ethical matter is to push them outside their own comfort zone. This might work well when the students already have a good idea of where they stand on the issue. After the presentation of the various ethical issues in the class, students are asked to take a stand on the issue. Then students are to take up the opposite argument. So if a student were to decide that he was against the use of therapeutic stem cells, he would have to present the arguments in favour of using this technology. Students need to consider how to convince someone else to accept the arguments that are counter to their own feelings or beliefs. Flip a coin to decide which team begins their persuasive arguments. Be sure to establish the rules of debate. Teachers need to be alert to prevent insults and bigotry about the issues. Students are allowed to remain on their side or change sides. Students will then reflect on the facts, ideas and comments in the presentation. One aspect of critical thinking is considering the source of the information one uses. Here are some links from a variety of sources that teachers can provide to students for their research on the topic. International Society for Stem Cell Research - according to the website "The ISSCR is an independent, nonprofit organization formed in 2002 to foster the exchange of information on stem cell research." Ethical issues fact sheet - from Euro Stem Cells, "unites more than 90 European stem cell and regenerative medicine research labs in a coordinated effort to engage with the public about our science." This article presents balanced arguments on many points which would be very useful for the debate activity below. Bioethics - from the Oxford Journals, this article provides in depth theory and examples in the ethical discussion. Life News - according to the website "LifeNews.com is an independent news agency devoted to reporting news that affects the pro-life community". This article has a very good representation of the ethical issue. Students should continually remember their learning with international mindedness in light of the many different researchers involved in this research and the complicated ethical issues argued between many different groups of people. The attributes of the IB Learner profile, especially being risk-takers, reflective, caring, open-minded learners are in play as students grapple with these issues. This lesson plan can be used in connection with Cells (Cell Theory) and Genetics ( Biotechnology and Gene manipulation), although there is no reason to hold off the debate until a later unit if the teacher is prepared. Involving TOK, the teacher will help students make the link of using logic, reasoning and ways of knowing. The domain of stem cell research is one of the fastest growing areas of biology today, so changes that happen now will not be expected of students in their exams. But the basics of outlining two uses of stem cells and a discussion of the ethical issues of therapeutic uses of stem cell cloning are necessary. Some examples are: treatment of Parkinson's disease, Alzheimer's disease, diabetes type 1, spinal cord damage. The Nobel prize in Medicine for 2012 was awarded to two scientists whose work has led to our understanding about stem cells. Here is the link to the Nobel prize in Medicine press release, which is quite readable by students. In 1962, John Gurdon did the experiment that now appears in most Biology textbooks. The transfer of the nucleus from an adult somatic cell into the enucleated egg cell that then develops into a full organism was the primary step in stem cell research. In 2006, Shinya Yamanaka, who was born around the time that Dr Gurdon published the first work, demonstrated that adult specialised cells can be induced into becoming pluripotent stem cells of iPSCs with the addition of a few genes.